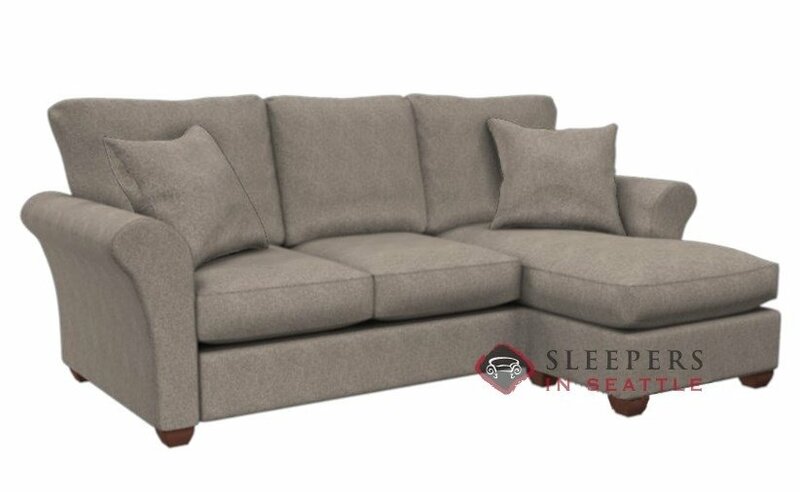 Simple in style but grand in comfort and quality, the 320 Chaise Sectional Queen Sleeper by Stanton is a fairly traditional model, with clean rolled arms and wooden feet in a fine presentation of value and smart furniture. 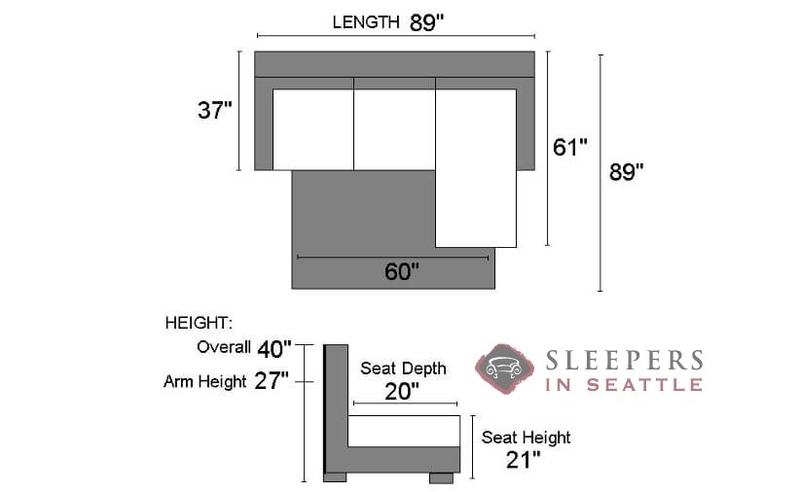 Available in several configurations and even more durable upholsteries, the handsome 320 can be customized for you today in our Sleeper Design Center--and you can even choose from three different mattress options! 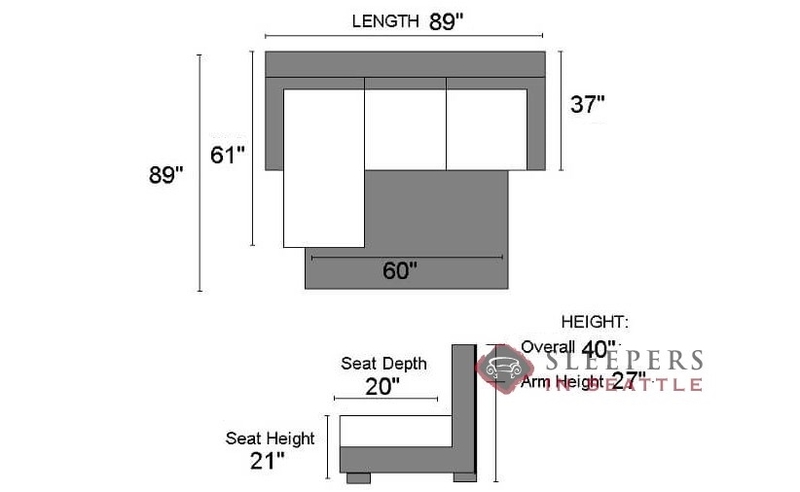 My previous experience with pull-out beds is that they are uncomfortable, expensive and ugly. Not a good starting point when shopping for a new piece of furniture. Luckily, my Google search brought me to Sleepers in Seattle. Finding a style I liked wasn't difficult, because EVERYTHING on the site is a sleeper. 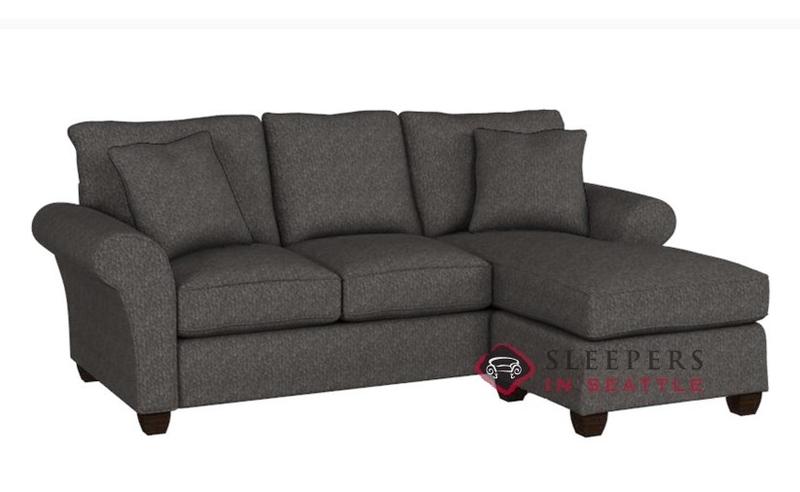 I decided on this Stanton chaise sectional because it really fit with the décor of my home. 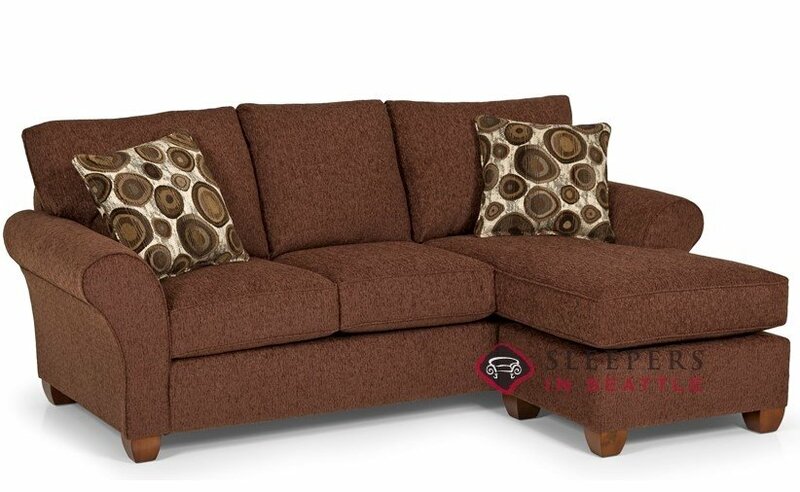 It's simple, classy and cozy, the holy trinity of couch perfection. I always love having a built in place to put my feet up. 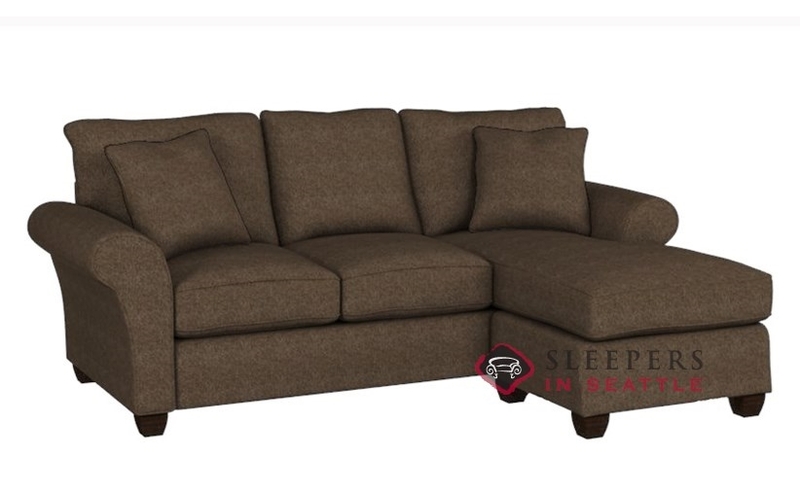 Also, I must say the price was right, especially for a sectional. The sleeper itself is actually really comfortable, which was shocking to say the least. My dad has been sleeping on it when he comes from Maine to visit. He hasn't complained once, and trust me, he complains about everything. I called up Sleepers in Seattle to ask a couple of questions and the customer service was top-notch. My only issue was with the delivery time, it took about a month to get the couch, they warned me it would take that long, but still wish it was a little quicker. Overall, I'm very satisfied.